Friend $5 Donate this amount and receive an Open Hearts-Minds-Doors wristband! Bronze Level $50 Donate this amount and receive an Open Hearts-Minds-Doors wristband AND a hug! 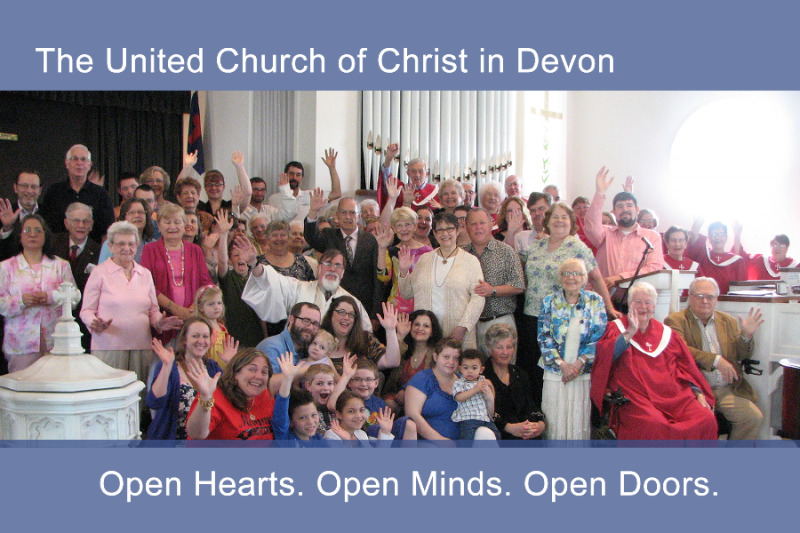 Silver Level $100 Donate this amount and receive an Open Hearts-Minds-Doors wristband, a hug and a UCC in Devon t-shirt! Gold Level $250 Donate this amount and receive a wristband, a hug, a t-shirt and and your name in lights on our website. Platinum Level $500 Donate this amount and receive a wristband, a hug, a t-shirt, top billing on our website and free admission for four to 3 movie nights! 5-star Sponsor $1,000 Donate this amount and receive all of the items listed in platinum level PLUS your name/logo printed on all marketing materials and social media. On your statement, this donation will appear as "WPY*Help Us Continue 106 "